Happy Halloween and Merry Samhain! On this, my favourite night of the year, may I introduce you to my second novel, Collide. Collide is a different sort of tale from Change Of Season on its surface: a brisk-paced action-suspense story is its shell, a far cry from the paranormal psychological thriller genre. That said, beyond the surface are elements of the unexplained, particularly the concept of fate or coincidence. Is coincidence merely that, or something much more? Collide begs the question and posits that perhaps coincidence is something much more complex. Collide also examines morality, and the notion of a greater good versus the individual case. It’s something I think is perhaps hardest for us to truly contemplate most of the time, likely because such cases are emotional, not merely rational. Last, but certainly not least, Collide is a study in characters, and herein lies its core kindred spirit with Change Of Season. The nine hostages within the bank are about to reveal their secrets within a claustrophobic cell. That understanding of motive, of how history shapes us all until we choose to evolve or stagnate, is as important to understanding and enjoying Collide as is the crime drama itself. 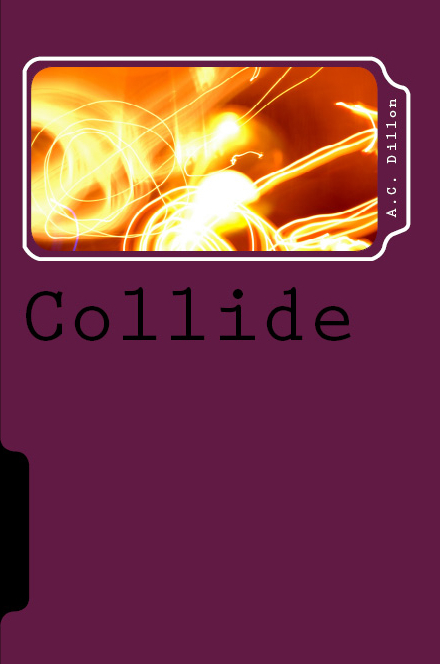 Collide is currently available on Smashwords and, for the month of November, is only 99 cents! (Print is forthcoming in the next few days via Amazon and Createspace). Other major ebook retailers will have the book in the next few weeks. Click here to purchase your ebook copy of Collide! Thanks for your support. Prefer print? Gotcha covered via Createspace. Click here! Stay tuned also for the Change Of Season blog tour in the next few days, including giveaways!